Jessica Moore is an author and translator. Her first poetry collection, Everything, now was published in August 2012 with Brick Books. 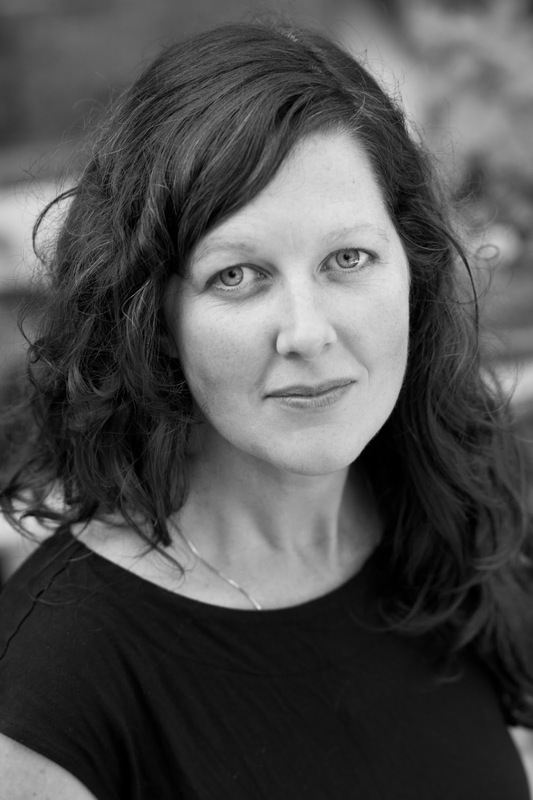 She is a former Lannan writer-in-residence and winner of a 2008 PEN America Translation Award for her translation of Turkana Boy by Jean-Francois Beauchemin (Talon Books 2012). Her poems and translation have appeared in CV2, The Antigonish Review, Arc, and The New Quarterly. She also writes music: her band, Charms, released their self-titled album in 2010, and her first solo album, Beautiful in Red, appeared in May 2013. Technically, my translation of Turkana Boy was my first book, published with Talonbooks this April , and its appearance was a joy and an affirmation, allowing me to travel for my work as I had only done for residencies before. But in many ways Everything, now (my book of poems which came out with Brick in July ) feels like my true first book - and this makes it that much more of a joyful affirmative happening. It is a great feeling to hold the object for the first time! Everything, now and Turkana Boy share similar currents of wonder, longing, and magic; but they are quite different in terms of intimacy. I could say that Turkana Boy demands contemplation (of the reader) where Everything, now asks for deep feeling. I suppose it was just there, in me, from a very early stage. I looked at the world and thought in verse or line breaks or reflective fragments. Fragments or observations rather than narratives. I think that is at the heart of my inclination towards poetry before fiction or non-fiction (though I've recently become quite smitten with the essay as writing form). I am of the slow tribe of writing, I think - this particular book began in 2005 and didn't appear until this year, though the bulk of the writing happened over a period of about a year and a half. There is, of course, that sweet stream that happens sometimes, when poems (or songs) appear nearly whole the first time round. But that is rare and special. I often spend a lot of time editing a piece - and part of this time includes leaving the piece alone for long stretches, so I can return to it with fresh eyes and mind - this is one of the most fruitful editing practices I've found. I definitely love short pieces, and find myself drawn to works (like those of Jean-François Beauchemin, or Eduardo Galeano, or Anne Carson) that are given in fragments. Poetry generally lends itself beautifully to this sensibility. There is something very pleasing about short, containable pieces for me. But in the process of writing Everything, now I was always writing a longer work composed of connected pieces. I do enjoy readings, very much, and consider them to be, rather than a creative act, an act of culmination - I am not creating new work out of readings, but I am honouring the work that has been done, delivering it into the world, giving it voice, embodying it. Something I find immensely satisfying (and that often happens without my conscious effort) is memorizing my own work. I once recited rather than read a poem during a formal reading, and loved the feeling of that - saying it aloud, from memory, is, like Walter Benjamin says of translation, an act that seems to give 'continued life,' in an embodied way, to written work. In this particular work especially, but in several other pieces also, I am curious about spirit - about our relationship is with something beyond the physical; about how to live most fully engaged with the sensual world and each other; and about how we carry the memory of those who have died, and whether / how a continued relationship with them is possible. In considering this question I feel the role of the writer is one of gathering, and of opening - gathering observation and sensation, and opening thoughts (her own and the reader's) onto new arenas, new avenues. I'm thinking of this mainly in an expansive sense of ideas. I have always wanted for there to be a designated role in society for the one who feels. Just recently I expressed this to a friend, who reminded me that this is exactly what artists and poets do - so quite possibly I am in the right vocation. Essential! My own process of working with editors on this book was both difficult and deeply satisfying. I feel very open to hearing response and suggestions from editors I trust, and I love the light of that close attention and how it can help hone and shape my work. Because decision-making is a continual challenge for me, there were times in both the editing and copy-editing processes which I found very difficult - it was a relief to me, in those times of lack of clarity, when my editor had a strong opinion. I nearly always took that direction gratefully. "No matter how cold the water is, you just dive right in!" And, 'write your way to towards what you have to say.' In other words, you don't have to know from the beginning what it is you will create. 10 - How easy has it been for you to move between genres (poetry to songwriting)? What do you see as the appeal? The process of writing songs is quite different for me from the process of writing poems, though I could say that both often begin with a rhythm - a thought rhythm, or a felt rhythm, such as when I'm traveling by train. Though I do mine my journals and poems for song lyrics, the shape of a song is quite different from the shape of a poem for me - more tied to rhyme, and sometimes more simple or direct. Moving between the two is usually just a question of what I am intending, or what is trying to come through, when I sit down to write. For me, having different directions, different pursuits (writing, songwriting, translating) is always helpful - either just to help shift me into a new frame of mind, or to help infuse each area with something new. There are definite reciprocal influences. I'm in the exciting final stages of mixing my first solo album right now, and one of the songs on it bears the same title as my book, Everything, now. I try to keep a routine of beginning the day with a few stretches, a cup of tea, and forty minutes of writing. Over the past month there have been no typical days, however! I'm just getting back into it now. My favourite way to begin - in the times when I've been lucky enough to live near a lake, or river, or forest - is with my cup of tea and a walk, followed by those forty minutes to an hour of writing. I may come back to my desk later in the day for another session, or a few. I work best in short sittings. Walking helps greatly. Traveling in general is great fuel for my writing. I definitely turn to natural settings. Lakes are good, and rivers are best. Shifting between disciplines or pursuits also helps, as I mentioned earlier. Sometimes when I'm feeling stalled, I will take that opportunity to go through old notebooks until I find something I can work on. And when stalled with songwriting in 2010, I struck up a 'song a week' pact with a fellow songwriter, Abigail Lapell - we agreed to meet once a week for six weeks and each present a new song, in whatever shape it was in. This was an incredibly fruitful process, and several of the songs on my duo album, Charms, were written during that time. The mix of sun, pine, pink granite of the shield, and the dark sweet water of Ontario lakes. I also love the idea of works co-inspiring each other, and so am drawn to the concept of projects that combine two or more disciplines - for example, a writer and a visual artist corresponding in their respective media, responding to each others' pieces. This has been done with writing and translation, such as in the case of E.D. Blodgett and Jacques Brault, who did reciprocal translations of each others' work, by correspondence, adding to and elaborating on the poems as they did, so it became a process of both translation and writing. In my case, similarly, translation was great fuel for my own writing - many of the pieces in Everything, now were written in a process that I called 'resonant response' - taking a phrase or paragraph from my translation of Turkana Boy as a departure point, and adding to and elaborating on the images and themes found there. Anne Carson. Annie Dillard. W.G. Sebald. John Berger (especially a certain paragraph in And Our Faces, My Heart, Brief as Photos). Rebecca Solnit. Ursula Le Guin - the Earthsea trilogy. Alison Pick. Anne Michaels. Pablo Neruda. Eduardo Galeano. Michael Ondaatje. Jean-François Beauchemin. Trace a river to its source. I am currently fulfilling a number of career paths at once - translating, writing, playing music, and teaching yoga. When I was little I wanted to be either a rock star or a waitress - and both were equally glamorous. I have thought at times of pursuing a healing profession, too (my mother is a Naturopathic Doctor, so I grew up being quite familiar with alternative health practices). I always knew I would. Writing was just something that came and nudged me to do it. Perhaps it had something to do with being encouraged to read, and to examine language in a playful way. But what made me write? I suppose having feelings or observations occur to me in precise words - that made me want to express them on the page. A Field Guide to Getting Lost by Rebecca Solnit. And three recent movies: a great, understated documentary called Vernon, Florida; a narrative film called Pincus; and Sarah Polley's new documentary, Stories We Tell. As I mentioned, I'm in the final stages with my solo album, which will likely be released this winter. I'm also seeking a publisher for my translation of a French novel about the construction of a bridge in a fictional city in California. And I'm waiting for the current of a new writing project to sweep me up. It may take the form of essays.